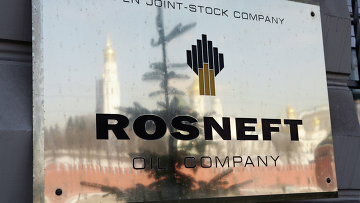 Moscow court extends detention of ex-receiver in charge of Rosneft subsidiaries | Russian Legal Information Agency (RAPSI). MOSCOW, February 2 (RAPSI) – The Tagansky District Court in Moscow had extended detention of Oleg Smetanin, the former bankruptcy commissioner of several Rosneft subsidiaries, charged with embezzlement of 300 million rubles ($ 5.3 million), until April 3, Yulia Sukhinina, the court’s spokeswoman, told RAPSI on Friday. In a similar vein, the court extended detention of Sergey Bogdanov, the second defendant in the case, who formerly advised an ex-Rosneft President on legal issues. Both defendants are charged with large-scale fraud. Investigators believe that Smetanin and Bogdanov had forged some documents; as a result, a paper debt amounting to 3.2 billion rubles (about $ 57 million at the current exchange rate) was registered with a Rosneft subsidiary. According to Russia’s Interior Ministry press-service, the defendants used the forged documents to transfer 300 million rubles to the accounts of a dummy company. Later they cashed out and embezzled the money, the press-service noted.